A high price but what incredible value for such a gorgeous piece of craftsmanship from La Redoute. This superb wall hanging woven in a mix of wool and cotton, sized 84cm x 70cm would make a great statement piece for a home. As the sales are over there is plenty of new arrivals in stores. One brand we have always got excited by is Habitat and it’s ceramics and this new collection is as good as ever. With a focus on vases, ther is lots of splatter paint effects, stripes and ombre, all in a multitude of colours, and we love them. Head to habitat.co.uk to see the selection. Their tag line says it all – ‘Shut up beige!’ But Red Candy certainly isn’t just a bright attack of colour with no style, this online store curates a huge range of homeware and furniture for every room, combining great style, materials, trends and good prices. They are confident with colour and every great product will bring a fresh new look to a room. Red Candy promise to make ‘your home into the brightest place this side of the sun‘. From vibrant kitchenalia and modern cool furniture to quirky soft furnishings and bright fun wall prints, the brand offers great affordable gifts, ranges that sit well together to style a whole room and fun novelty (but cool) home accessories. We absolutely love the designer feel lighting collection with a mix of modern, Scandi, industrial and retro styles, and the cool furniture selection. The brand’s current ‘hot right now’ product is the great Orange Fox Light at only £28! Create modern stationary to suit your style by attending a Project Craft workshop at Paperchase [ London ]. For £15 you will master the art of notebook customisation, exploring a variety of styles, mixing different materials creating a notebook with an abstract and contemporary design. A selection of dates are available, as well as a variety of other workshops to choose from. Head to paperchase.co.uk or eventbrite.co.uk to purchase tickets. Catch them while they’re in stock. There’s a few UK outlets to get these fab Playtype mugs (£12) but we love Violet + Percy so head to their online store for the ‘Beat’ range and shop their other great products at the same time. Available in DUB, SOUL, FUNK, TRANCE, ACID, POP, HOUSE, GLAM, TECHNO, HIPHOP, JAZZ, HEAVY and PUNK. It’s making a comeback in the home through its versatility, sustainability and general attractive appeal. Cork is being used more and more in products this year and is becoming a big hit. 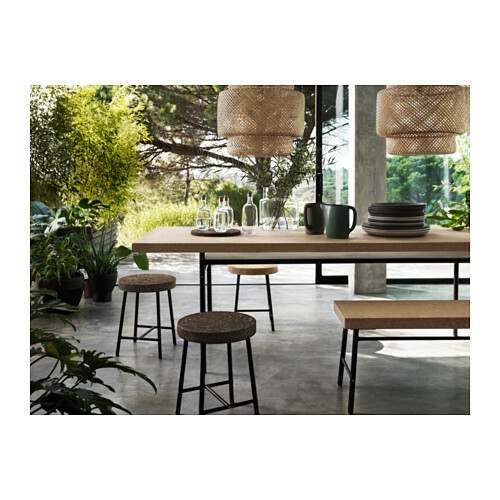 Cork is being combined with glass for gorgeous tableware, used as table tops and forms the base on ceramics including vases and bowls. Lighting can also use cork, not only is it durable from a practical point of view, but it looks great in a pendant style. Cork is a material that can be used subtly within other trends and by keeping the natural colour it blends with other materials really well like concrete, wood, marble and glass. Be bold and cover a wall with cork. 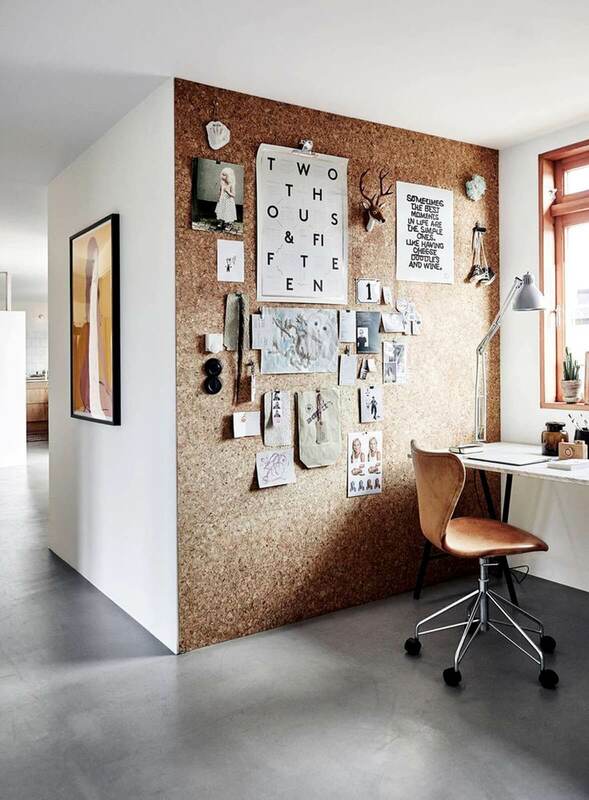 Not only does it bring a great texture and look to a space but used in the right room it can become a useful memo wall, used for pining up pictures, notes and decorative item. An office would be the obvious room to try this out in. Another way to have cork in your home is to have it as a table top. Either on a dining or coffee table cork is durable, water-repellent and easy to clean. Ikea’s Sinnerlig range is a perfect way to introduce yourself to cork. So this year look beyond coasters & table mats and experiment with a new love for cork. It’s great to find easy DIY projects that are both affordable but also effective. Transform magazine files with paper or fabric to allow them to match your interiors perfectly. Make your own base file from thick cardboard or head to IKEA, WHSmiths, Tiger or similar to get hold of plain files ready to cover yourself at home. On trend fabrics or papers with geometric, metallic or other modern pattern designs, would work perfectly but explore stores like FabricRehab for gorgeous quirky fabric designs. You could head to your local charity shop or carboot and pick up shirts, pillow cases or duvet covers to get patterned fabric cheap which you could use or if you’d rather use paper head to the highstreet for a huge array of patterned wrapping paper ideal to use for covering. We love Tiger for their cool Scandi patterned papers for £1 a roll or the every expanding stationery department at IKEA is full of great papers too at bargain prices. We found tutorials to help your DIY at HelloAerie and CreativeInChicago. And when your taste or interiors change you can easily update the covering to match!